In the second of a five-part series on players who shaped the Premier League, adapted from his book, "The Mixer", Michael Cox looks at the impact made by Manchester United forward Eric Cantona. While his team-mate and close friend Peter Schmeichel was busy revolutionising goalkeeping, Cantona was helping to change English football entirely. After a brief stint at Leeds United, whom he helped to the final old First Division title, Cantona’s arrival at Manchester United early in 1992/93 completely overhauled the club’s attacking approach. Whereas United had previously played a direct style, always looking to the flanks or playing directly into centre-forward Mark Hughes, Cantona played a deep, withdrawn role between the lines, and encouraged United to play the ball through the centre of the pitch. More than anything else, Cantona was staggeringly successful at United, winning the League in four of five seasons at the club, the only exception coming when he was banned for half the campaign after famously launching himself into the crowd at Selhurst Park. Cantona was a mysterious figure, a poet and a philosopher off the pitch and a wonderfully selfless creative player on it. His personal goalscoring record was excellent, but until recently he still held the best assist-per-match record in Premier League history, a quality not always appreciated at the time, when the concept of the assist was barely mentioned. 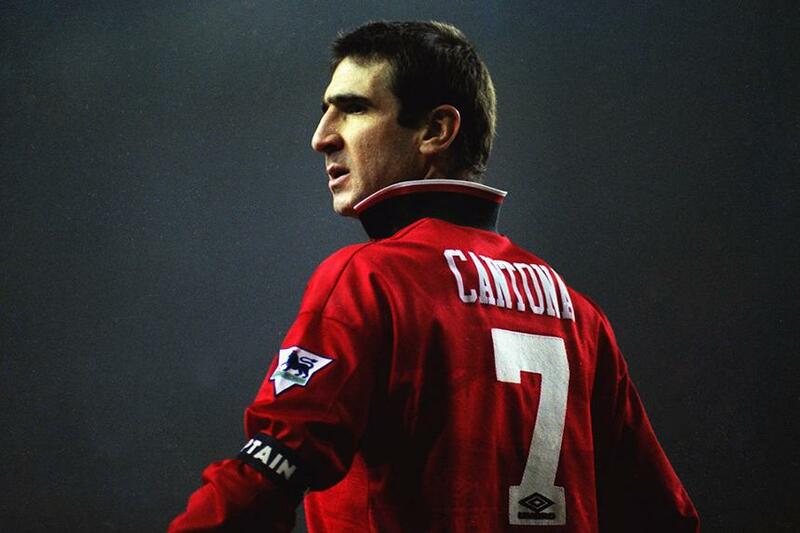 Cantona was a majestic player. Physically imposing but wonderfully creative, he helped to popularise that "between-the-lines" role, prompting other teams to look for their equivalent – Arsenal turned to Dennis Bergkamp, Chelsea to Gianfranco Zola. Simple 4-4-2 systems with two target men became unfashionable, and everyone wanted a creative forward who could bring both style and success. Few, however, managed it like Cantona.